Office Printer Paper Jams - How To Fix Them Fast! One of the most annoying things that can happen in your office is going to print out that important report, and then hearing the dreaded “beep beep” of a paper jam. Not only are these jams a nuisance, they can throw off your workflow and even damage your printer if it jams frequently. 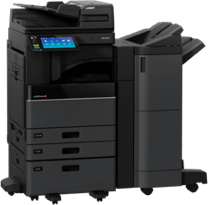 This leads to decreased productivity, increased wasted paper and toner, and a potentially costly repair to your office printer. Whilst calling a professional in to assist can be a valid option for some offices, in general this is a last resort option as it takes time and money to organise. There are actually several things you can do to clear a paper jam yourself. So how do you fix a paper jam? Probably the most common cause of a paper jam is overfilling the paper tray. A printer generally uses a motorised roller to pick up the first sheet of paper from the paper tray and feed it into the printer. When the paper tray is filled to max capacity, this can cause more than one sheet to be fed in at once, leading to a paper jam. Many printers allow for different sized paper to be fed into the machine. Typically there will be a sliding mechanism that can be moved to suit the size of the paper to be printed on. If this slider is not set to the correct size when printing, it can lead to a paper jam when paper collector accidentally takes up too many pages, or picks up the page from an incorrect location, leading to scrunching and an inevitable paper jam. the most common paper type will always be the standard A4 office paper. Using a different kind of paper that is not suited to your printer can easily lead to a paper jam. This is usually due to the paper being too thick for the internal printing mechanism, or even too thin and getting torn or folded in the process. A less common but potentially most devastating culprit behind a paper jam is a foreign object caught within the printing mechanisms. Frequently caught objects include paperclips, pens, staples, and business cards. These will inevitably cause paper jams and more than likely also cause some serious damage to your printer, and so should be extracted immediately. How Do I Remove Jammed Paper from My Printer? If you are experiencing a jammed printer, you’ll be wanting to get it cleared as soon as possible. Here are some tips for getting you printing again. The first step in any paper jam clearing process is to clear the loading tray. Remove any loose paper sitting in the tray. If you can see any paper obviously caught in the feeding mechanism, slowly and carefully remove the paper one sheet at a time. Check to see if any pieces of torn paper are caught in the mechanism and remove. Once you have cleared all paper, close the tray and hit ‘Resume’ on your printer. If you have successfully cleared the source of the jam, your printer should be working again. If you are still unable to print, you may have to try a few other things. 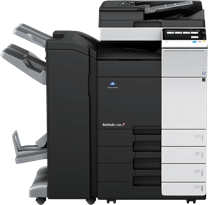 Most printers will have a rear access panel to allow easy access to the inner workings of the printer. Paper that is pulled in from the loading tray is usually fed through to the rear of the machine to then be moved on to the printing mechanism. This is another area where the paper can get jammed. Simply open up the rear access panel and see if you can spot any paper caught in the machine. If there is, carefully remove the paper one sheet at a time and check to see if there are any smaller torn pieces of paper. Once this is done, hit ‘Resume’ and attempt to print again. This is the ‘last resort’ option as it has a chance of damaging your printer, but can be performed with care to minimise the risk of damage. This is for when the paper has fed successfully from the loading tray and past the rear feeders but has become stuck in the printing apparatus, almost near the mouth of the printer. Very carefully and slowly pull the paper out of the mechanism, ensuring not to force it too much or go too quickly as this can cause significant damage to the laser or inkjet. As above, press ‘Resume’ and check to see if your printing has returned to normal. One final option for clearing a jammed printer is checking whether the printing machinery is able to move properly. Turn the printer power off at the powerpoint and unplug it. Open the front cover and observe whether the ink carriage moves all the way to the right of the printer until you can no longer see it. If it does not do this, you may need to contact your printing service professional to assist with a repair. How Do I Prevent My Printer From Jamming In The Future? Prevention is always better than a cure, and this is equally true for paper jams. Ensure no loose stationery or office equipment is on or near the printer to avoid introducing a foreign object into the printer. Did you know that all our leased printers come with a comprehensive service agreement that covers toner replacement and all repairs? Contact Busys.ca today for a quote!